Ian Foerster, a native of Pisek, N.D., and a doctoral student in chemical engineering, was UND’s Three-minute Thesis (3MT) champion in 2018. He would go on all the way to the national 3MT showcase in Washington D.C. Among other projects, Foerster is working to convert waste products from soybeans into high-value carbon fiber, which is stronger and more stiff than steel, yet lighter. Photo by Shawna Schill/UND Today. 9 am. – 3 p.m.
Three minutes. One slide. That’s what it took for Ian Foerster to earn a trip to Las Vegas last year, where he won big – a trip to Washington, D.C. Described as “Ted Talks for Scholars,” the Three Minute Thesis (3MT) features students who present their research in just three minutes to judges and the public. The third annual contest at UND is set for Jan. 23 on campus. 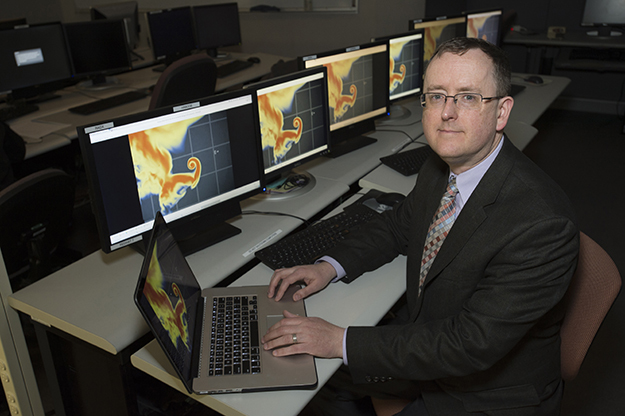 “It’s really important for students to learn how to communicate their research to the general public,” said Matt Gilmore, associate professor of atmospheric sciences and the driving force behind bringing the competition to UND. That’s where 3MT comes in. The competition, which begins with workshops for graduate students in the fall, helps student researchers hone their presentation and learn to explain complicated topics. “It’s a multi-step process with a lot of practice, peer and trainer feedback and revision,” said Gilmore. Matt Gilmore, associate professor of atmospheric sciences, was a driving force behind bringing the 3MT competition to UND. Photo by Jackie Lorentz/UND Today. Foerster, a doctoral student in chemical engineering who grew up on a farm near Pisek, N.D., is working on three projects. 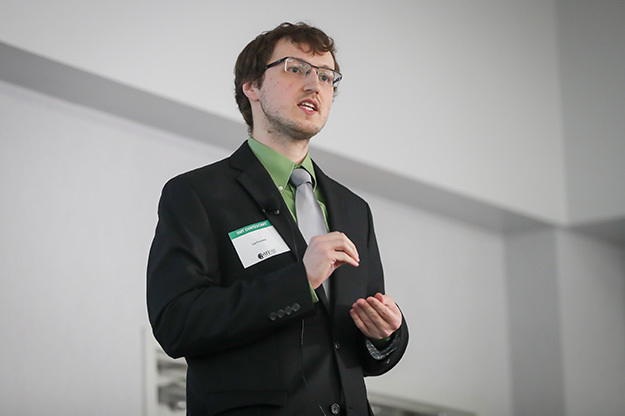 For 3MT, he chose to focus on his research converting waste products from soybean biofuel manufacturing into high-value carbon fiber, which is stronger than steel, yet lighter, and used in planes, cars and golf clubs. Currently, carbon fiber is made from petroleum products and is expensive. He hopes to cut costs and use renewable sources, such as soybeans, to make the fiber. That adds value to the soybeans. 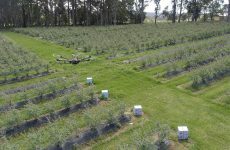 Foerster is also doing research in cooperation with the University of Leeds in the U.K., which involves extracting oils from pond scum, which has a similar oil to soybeans. They’re working on ways to crack the cell wall and extract the oils for biofuels. His third project, in cooperation with NDSU, uses similar techniques to extract sugars from sorghum, a forage crop and cattle feed. Those sugars can be fermented to make ethanol, but Foerster and his collaborators are working to find ways to skip the fermentation and re-form the sugars into upgraded fuels and chemicals that are more useful than ethanol. 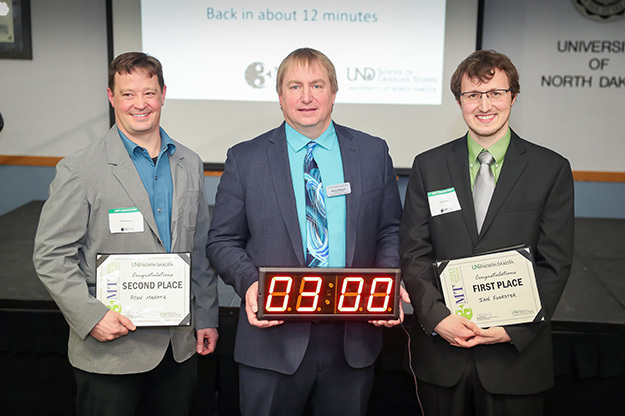 UND Associate Dean of Graduate Studies Chris Nelson (center with clock) honors UND’s 2018 3MT Competition runner-up, Ryan Menath (left), an Air Force combat pilot and history major at UND, and champion, Foerster. Photo by Shawna Schill/UND Today. 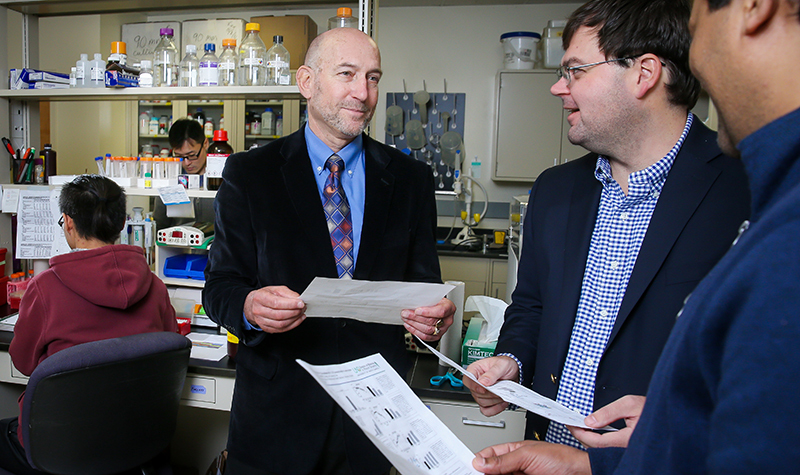 Regardless of the research, Foerster appreciates the opportunity to take part in 3MT. Preparing for 3MT takes practice, Foerster said. Another benefit, added Nelson, is that 3MT lets the public know what UND is doing. 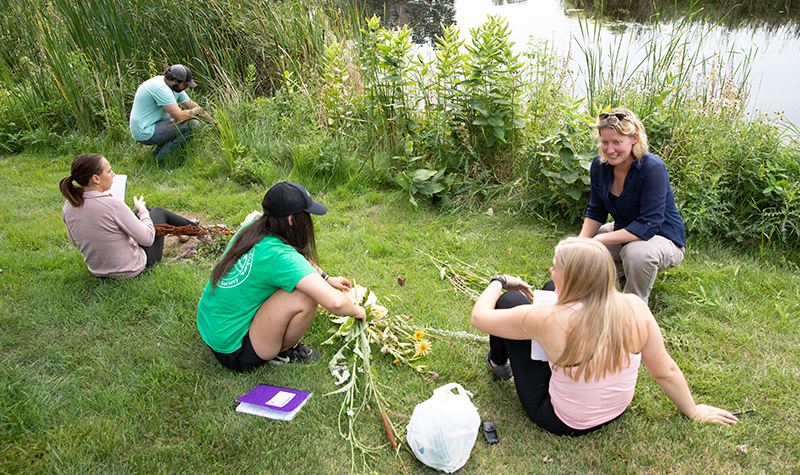 “Speaking in language accessible to all about the kinds of exciting, groundbreaking research that goes on behind the bricks and mortar, its value and relevance to our local and regional communities, as in the case of Ian’s soybean research, not only cultivates an important, lifelong skill in our students, but also helps to cultivate stronger relationships with the public that supports UND,” said Nelson.